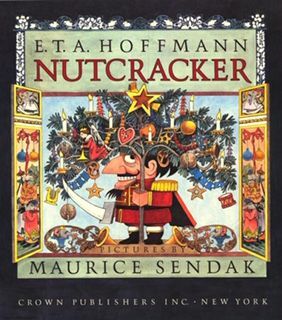 Much like Clara, in Tchaikovsky’s Nutcracker ballet, I think I have been fascinated with Nutcrackers since I first saw the ballet as a little girl. 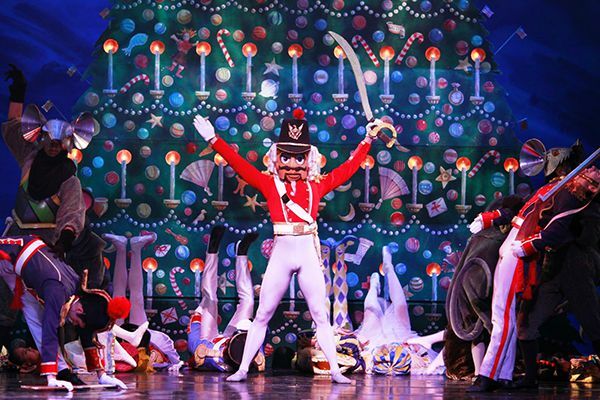 Of course, our own Joffrey Ballet, does a superb new interpretation choreographed by Christopher Wheeldon and running through December 28th, at our exquisite Auditorium Theater. 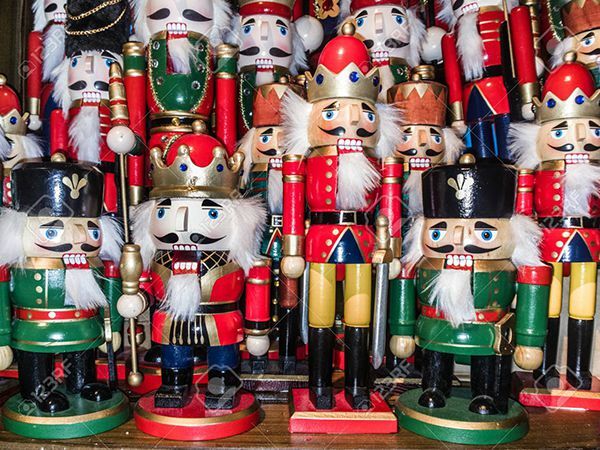 Where can you find vintage collectible Nutcrackers, of course, i would suggest you check out the December Randolph Street Market on December 15 and 16. From The Green Door at Randolph Street Market….you can see he has been much loved!!!! 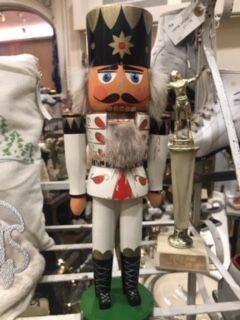 When I managed, for many years, the Holiday Boutique at a Michigan Avenue, Chicago store I always looked forward to getting the newest additions of two of the renowned German makers of collectible nutcrackers, Ulbricht and Steinbach. There are many other makers but these two, at least at that time, were the most collected and there were always clients who wanted to be first to add to their collections. The assortments are quite endless and stunning in their variety. The following is taken from germangirlinamerica I found it fascinating and wanted to share it with you. 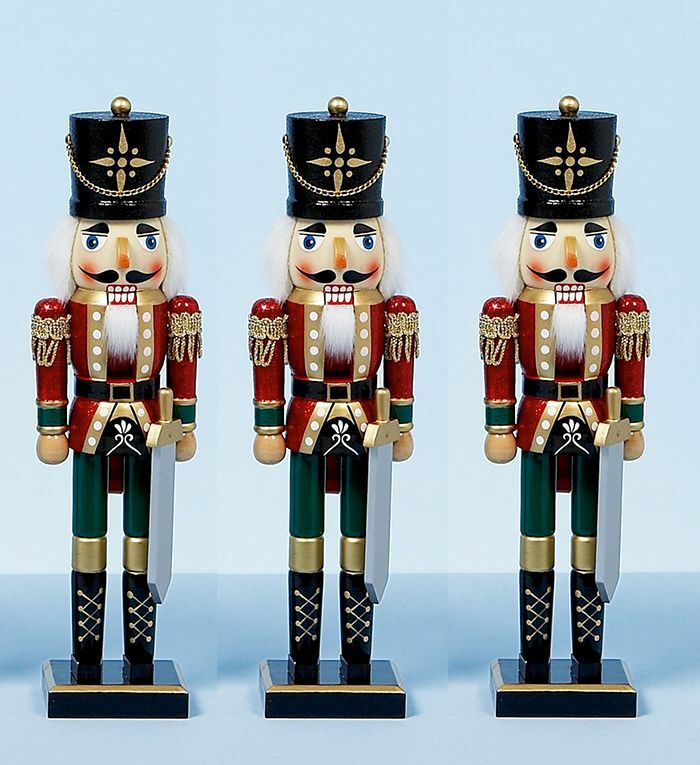 “The Steinbach family was instrumental in spreading the popularity of Nutcrackers. In the beginning, most looked fairly similar… soldier, knight, king. 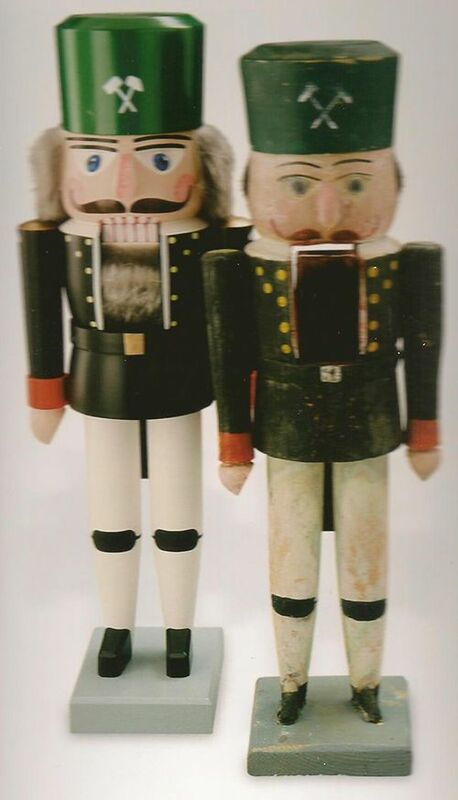 Herr Steinbach decided to create Nutcrackers based on German Folklore or famous leaders from around the world. 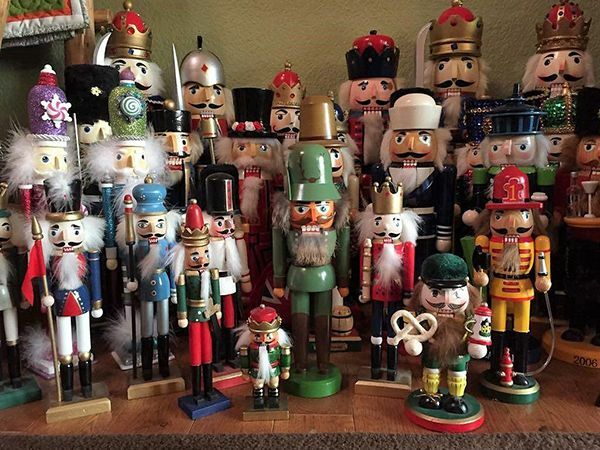 Then came the brilliant idea of “limited edition” Nutcrackers…. the first was King Ludwig II, and only 3000 were made. This marketing plan of scarcity made collectors mad for acquiring these special pieces. 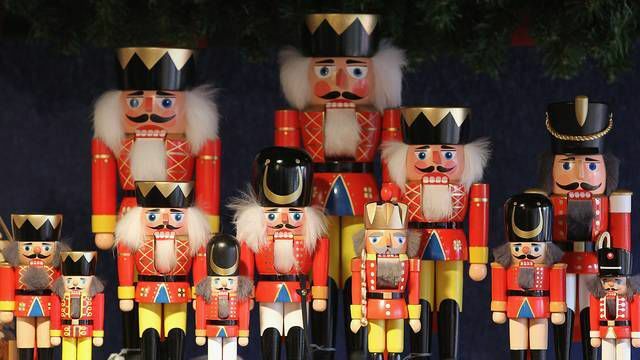 “Today, Nutcrackers are a common Christmas decoration here in the US, but how did that happen? In the 1950s Soldiers stationed in Germany started visiting the Christmas Markets. 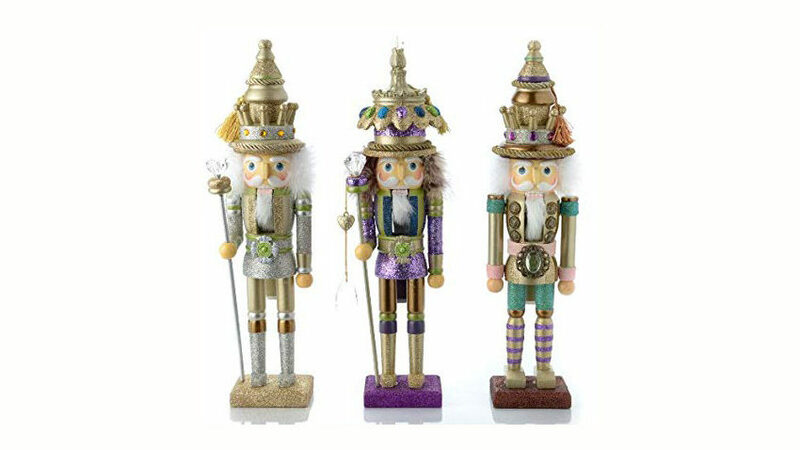 They were captivated by these brightly painted wood “Soldier” Nutcrackers, and brought them home. 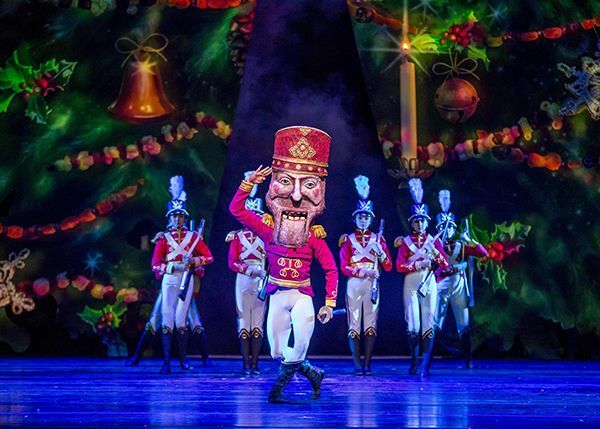 Right around then Tchaikovsky’s ballet, The Nutcracker Suite was becoming a popular Christmas Event, and so demand for Nutcrackers skyrocketed! Sadly, the increased demand means the market is flooded with cheap knock-offs from China… and the Steinbach family company, after over 250 years of creating hand-crafted works of art, declared bankruptcy and shut its doors for good in 2016. Look at the many different styles and these are just a small selection, there are literally hundreds to choose from…a collectors dream. 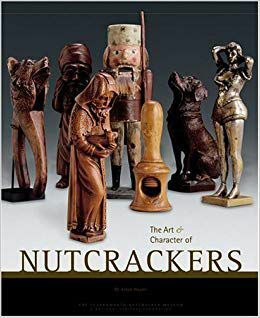 The photo below features the traditional Nutcracker which can be collected and not difficult to find. A good way to begin your collection. 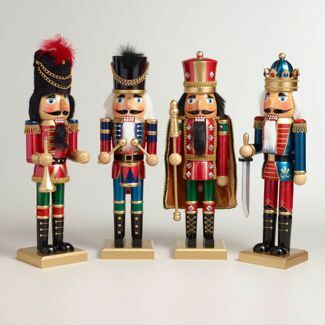 Of course, there are many types of nutcrackers in addition to what I refer to as the “solider” all highly collectible. A perfect time of the year to think about collecting the various styles. As I always do…here is a book to give you further inspiration. 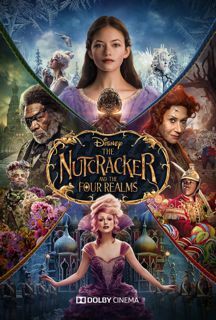 And in theaters Disney’s The Nutcracker and the Four Realms, I don’t know about you but I love all Disney films! 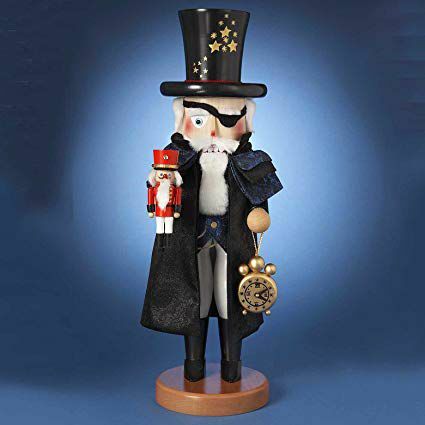 The Nutcracker is a tradition in so many ways, will you add to or start a collection for yourself or make it a perfect remembrance that can be added to each year, I hope I have peaked your interest in these wonderful wooden treasures. Happy Holidays.